Pull out your bathing suit, put on your sunglasses and grab the nearest fruity beverage. Things are heating up in Scottsdale – and I am not just talking about the temperatures. What better reason is there to stay in one of Scottsdale’s luxury hotels and resorts than rates as low as 60% off? At Hyatt Regency Scottsdale Resort & Spa at Gainey Ranch, choose the “Splash into Summer” package, which offers free self-parking, 50% off a second deluxe guest room, free dinner in SWB for one child with each paying adult (12 or under) and free golf for kids with a paying adult (15 or under). Plus you’ll receive a 50% discount at Camp Hyatt each day for up to two children per room (ages 3-12). Rates start at $169, valid May 21, 2014 through September 3, 2014. 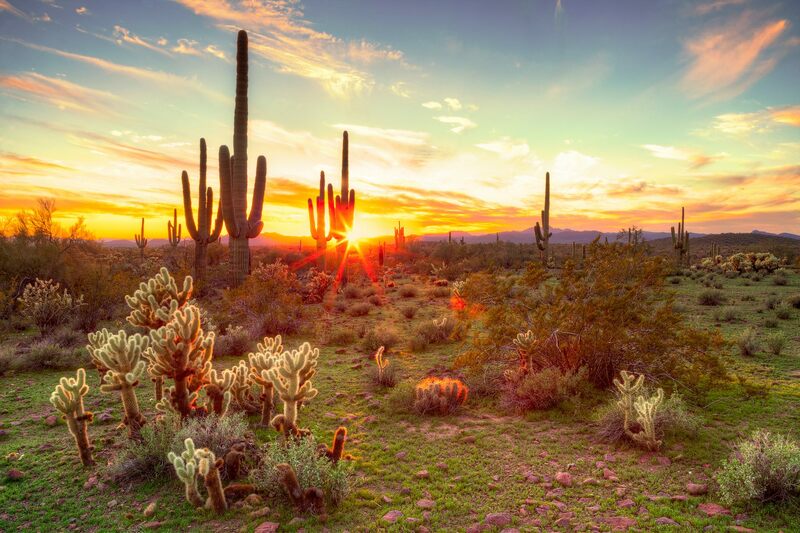 This summer take to the open road and explore all of Scottsdale with W Scottsdale’s “Road Trip” package. You’ll receive a $25 gas card, complimentary overnight WHEELS valet parking and an USB car charger in addition to your luxurious accommodations. For those who don’t want to travel further than poolside, the hotel is also offering the “Vitamin W” package which includes W Scottsdale sunglasses, sunblock, a beach bag and a poolside pitcher of Vitamin W. Rates for both packages start at $160 May 11, 2014 through September 6, 2014. Embrace the elements at Omni Scottsdale Resort & Spa at Montelucia’s pool with refreshing cocktails and delectable treats. When you use the resort’s “Turn Up the Heat” package this summer, you’ll stay two nights and get the third night free and receive a $50 poolside dining credit. Rates start at $199, valid May 1, 2014 through August 15, 2014. With packages like “Sip, Savor & Splash” and rates starting at $169 per night May 23, 2014 through August 31, 2014, Fairmont Scottsdale Princess is truly a sunshine-filled paradise. Summer at Fairmont Scottsdale Princess means cool rides down waterslides, zooming across the lagoons via zip line and fireworks lighting up the night. Poolside is the place to be at the new SplashRider X-treme, a thrilling, spinning water adventure. Nearby, twisting waterslides turn disco at the Techno Glo Party while Dive-In movies are tradition. With the “Sip, Savor & Splash” package, guests can use the daily $50 resort credit at La Hacienda or escape to Well & Being Spa for a bit of pampering. And the kids won’t want to miss the firework display that lights up the sky Saturday evenings Memorial Day through Labor Day.